The visit to the Apex partner Tool Group was an opportunity to visit the NAIAS (North American International Automobile Show) that was held in those days in Detroit. It is one of the most exclusive, high profile events in the nation. It focused on many of the flash-forward technologies that will impact connectivity, automation and efficiency in the next generations of vehicles. The global automotive community come together to catch up on the latest news and events. Here there were industry’s top leaders and automotive professionals representing almost 2,000 companies. 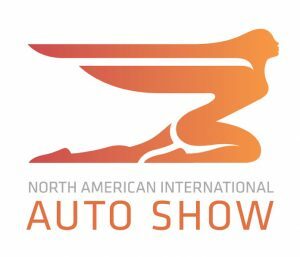 The NAIAS offered companies a forum for exhibiting break through technologies, providing product demonstrations, revealing fresh designs and participating in panel discussions. SCS Concept had the opportunity to see more than 500 vehicles on display, representing the most innovative designs in the world. The car manufacturers presented in particular models from three categories: sports, hybrid and pick-up, which in North America is an important part of the market. In 2014, car sales in the US were up 6% from a year earlier: 16.5 million vehicles sold, 2.3 million of these were pickup. The low price of the oil in the last part of 2014 helped the sales of large and heavy vehicles that consume a lot of fuel, such as SUVs or pickups precisely. Despite the predictions of the experts saying that oil prices will remain low for a long time, at the NAIAS 2015 all automakers have confirmed that will continue the development of hybrid or electric models and technologies to reduce fuel consumption, because in the coming years, in the US and Europe, regulations on fuel consumption and pollutant emissions will become increasingly stringent.